What do you teach at Read Smart? At Read Smart, we teach: Reading, Vocabulary, Comprehension, Spelling, and Writing. 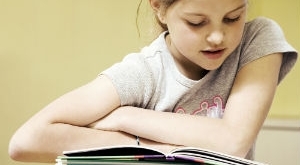 What are the benefits of advancing my child’s reading skills early? Children first learn how to read, and then they read to learn. Achieving success early on in a child’s education can change the direction of a child’s life dramatically. What grade levels are covered with the Read Smart Program? Read Smart teaches kids from Pre–K through 6th grade. How often will my child attend Read Smart? Read Smart gives parents the choice of having their child attend sessions once, twice, or three times per week. Often, the best results occur when children participate in at least two sessions per week. Will my child get individual attention? YES! Every child receives one-on-one attention in every session at Read Smart. Our Read Smart professional educators implement our innovative, creative program in a way that engages children with all different types of learning styles. Read Smart incorporates activities for visual learners, auditory learners, and tactile learners. How long is each Read Smart session? Each Read Smart session is one hour long. Read Smart doesn’t require a contract, and our personal evaluation is free, requires no obligation, and has no strings attached. What are Read Smart’s hours? Read Smart hours are Monday – Friday from 3:00 p.m. to 8:00 p.m.
How long do you suggest my child attend Read Smart? Every situation is different, but we recommend kids attend Read Smart for a minimum of 6 to 9 months. To gain the most benefits, consistency is key! How affordable is Read Smart? Read Smart is an affordable way to help your child improve their reading skills. Contact our office for specifics on our reasonable pricing. What is the atmosphere like at Read Smart? The positive, nurturing, motivating environment at Read Smart helps children desire to learn! Children thrive and love learning with our guided instruction from exceptional Read Smart educators. What motivates kids to come to Read Smart? Children use the reading skills they master while being appropriately challenged to continue growing in the Read Smart Program. The 9 significant skills we teach help fill in missing gaps, providing a roadmap for success. After a skill is mastered, the next skill is introduced. 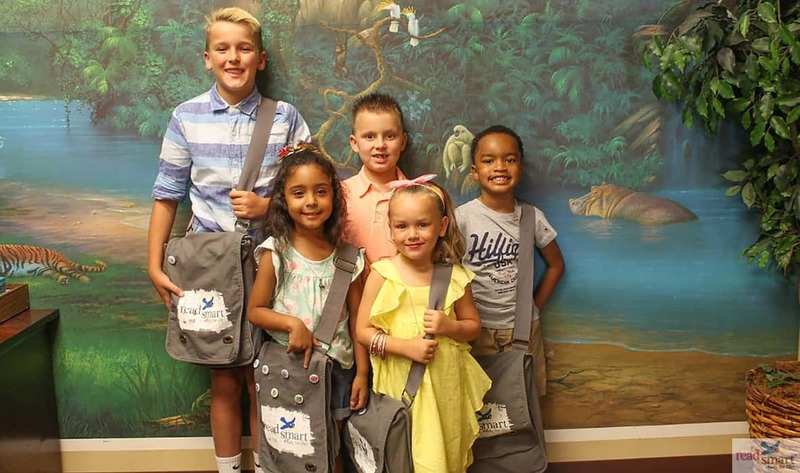 As children pass each milestone, they earn a medal and pin it to their Read Smart Journey Bag. Confidence builds continually with each medal achieved. Read Smart helps students cultivate self-confidence, motivation, and the desire to learn! What do parents appreciate about Read Smart? Every parent wants to empower their child to succeed in school and life, giving them every opportunity to get ahead. It’s difficult to see your child struggle with reading. That’s why Read Smart helps thousands of kids improve their reading skills. Parents love seeing the results of Read Smart: children mastering reading skills, reaching their potential, and gaining confidence at school!